HopeSprings is supporting a Pit Stop for “Ride for the Feast,” a 140 mile bike ride to benefit Moveable Feast. A number of WWS members are riding in this event. Please consider cheering them and others on at the HopeSprings Pit Stop. If you can help, please contact Ashley Francis at afrancis@hopesprings.org. Splash. Splash. Back and forth in a steady rhythm, my paddle pushed the water and my kayak sliced the waves. I moved slowly as my thoughts gathered, but faster as my frustration peaked. The muscles in my arms ached as my jumbled thoughts coalesced into a single sentence: Nice girls don’t change the world! Therein lay my frustration. 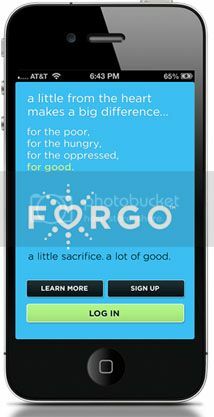 Since childhood I had dreamed of being a force for good, a soul-soother, a righter of wrongs—a world-changer! But what had I been instead? A “nice girl,” an innocuous people-pleaser. Good at going through the safe, socially accepted motions of life, I had lost all sense of passion, giftedness, or dreams. That would make a great title for a book, my husband suggested later as I spit out my latest kayaking insight. Oh right. But his suggestion lingered. Are there other nice girls out there? Women living out roles that deny their true selves and violate God’s calling on their lives? Women dying to come to life? Should I write for them as well as me? In 2005 I did just that. 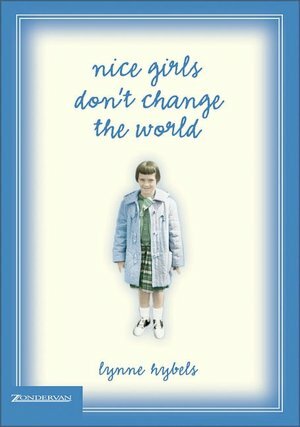 I wrote a little book called Nice Girls Don’t Change the World. Since then I’ve enjoyed corresponding with readers who found in my personal story a reflection of their own frustrations, fears, and broken dreams. But many told me they also found something else. Hope. Hope that if I could move beyond the “stuck” places in my life, maybe they could too. In light of the hope we often find in shared stories—and due to a publishing snafu that produced a truckload of “extra” books—the Willow Creek Association is able to make Nice Girls Don’t Change the World available for less than $1 per book, including free shipping. Several years ago on Mother’s Day, each woman attending our church received a Nice Girls book as a free gift. Having so many women reading the same book opened up hundreds of conversations in which women could cheer each other on in their pursuit of healing, growth and transformation. With Mother’s Day 2012 approaching, I wanted to alert my friends and readers to this opportunity. I would love to see these books used by church leaders, woman’s groups, or individuals who would like to share them with others. The books are packaged in cases of 52 books; we ask that you order them by the case. It is $50 for each case and this includes shipping. This offer is good through May 15th. If you’d like a case—or several—please visit http://bit.ly/HUA2qT or call 800-970-9812. *Cases are still available as of 4/18. Why should we look to the Bible for a vision of a more moral culture? Isn’t it full of socially backward views? Thoughtful, illuminating, and challenging, Keller’s guide helps seekers and lifelong Christians understand that God’s justice on behalf of the poor and marginalized is central to Scripture’s message of “love thy neighbor as thyself. All are invited! We will meet on May 22, May 29, June 5 & June 12 at the Towson Library coffee shop. If you can’t join us, please read along on your own. As before we will send the discussion questions to everyone via the blog and Facebook. Hope you can join us.